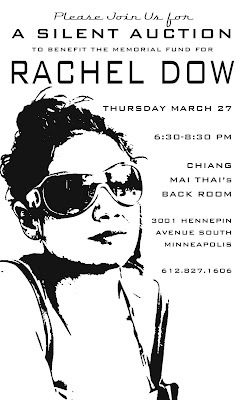 Please join us this Thursday for the Rachel Dow Memorial Silent Auction at Chiang Mai Thai. There will be plenty of excellent merchandise available, with proceeds going towards a memorial bench on the parkway overlooking the Mississippi River, as well as local youth-at-risk programs. Thank you.